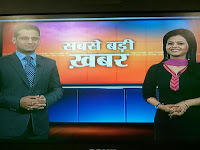 Nishant Chaturvedi...: Wake Up.. Its a Breaking News..
"Aankhen kholo India" (Wakeup India) As I get ready to show the viewers what’s making news, there’s a Breaking news unmaking me. My co-host will be late and I have to pitch in for another hour. Anchoring for one extra hour before Sunrise is letting the powers within my stomach to rise. Power of Nature to call and knock the walls of my intestines. 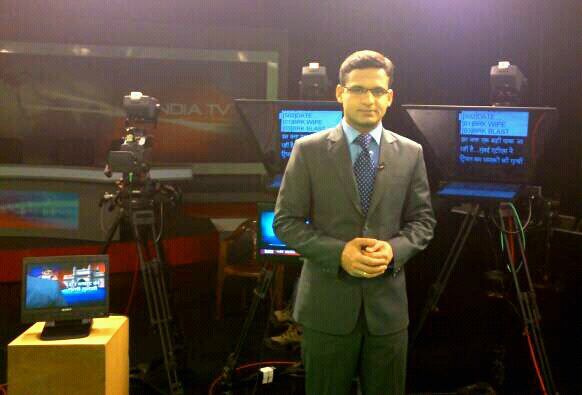 This extended schedule of early morning News show is always full of news action and my bowel movement action. And no commercial breaks within news segments are enough for anyone to rush and relieve themselves. Please note most of the Media employees are regular victims of IBS which is not Indian Business School but IRRITABLE BOWEL SYNDROME. Anchoring is a spiritual experience, you have to contain the chaos within (here the chaos is in my intestines) yet manage the chaos outside, which is termed in media as BREAKING NEWS. So here comes THE BREAKING NEWS of the day Gaddafi is shot dead and so am I, with cold waves coming in from the air conditioning ducts in the studio. I often wonder why we never use the astrological instincts of our AC maintenance guy Sunil, He can have perfect recipes for our channel's everyday serving of Morning Fortune Cookies. Sunil exactly knows the right conditions to torture us, his timing to freeze the studio when we our down with cold or fever is spot on and then he shuts down the AC plant when we are sweating in humid summers. 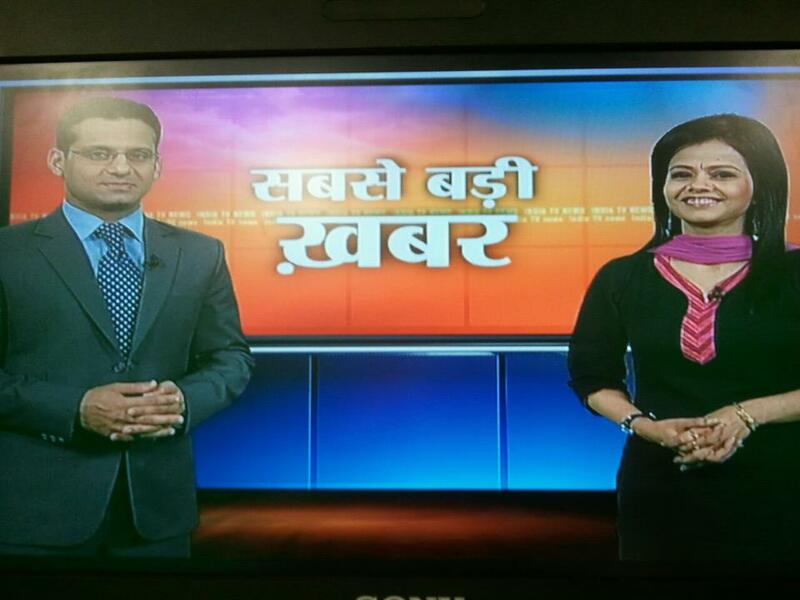 Well its winters and Sunil has frozen the studio, so as I clean my nose and with a smile move on to the story of High court verdict on Noida extension land fiasco, I receive the verdict of my anchoring extension, as there has been a guest coordination fiasco. Now my cohost will anchor from the news room and I shall remain in the studio in the midst of action of news and my bowel movement. “Aaankhe kholo India” (wake up India) I am suppose to repeat this sentence with every new anchor read, so as I say it for the fiftieth time in last fifteen minutes, it seems that this line is not for India but for the ones waking up India, that is we The Anchors who are notorious for the late night outings, The Producers who are notorious for their frustration because of endless night shifts, The Cameraman who after the night shift is sleeping in the studio right behind the camera and then finally its a wake up call to our esteemed TRP viewers who are trying to understand how so many channels are trying so hard to be different. That sounds like a real breaking news as your viewers are not at all aware of all that an anchor goes through in a news room. And the so called 'breaking news' is of late a 'barking news' in real sense!